I recently had a chat to Melbourne's Kalaurie Karl-Crooks about her stunning vintage knickers label, Little Skout. 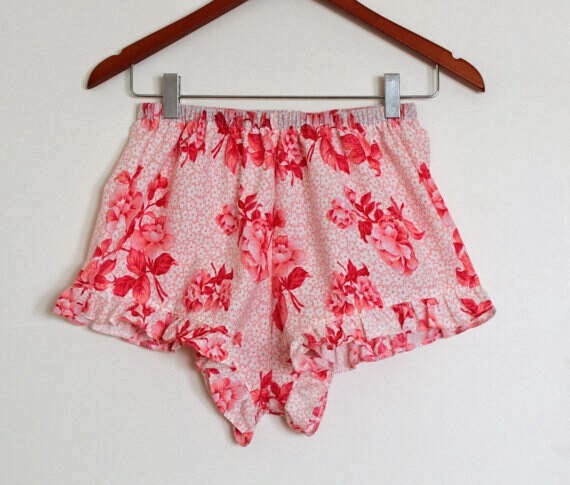 I absolutely adore these feminine ruffle knickers and the vintage fabrics they are made from. Don't you think they are just damn pretty? Another stickler for sustainability, recycled fabrics and the handmade movement, Kalaurie talks about what inspires her and her plans for the new year. You can find the Little Skout shop here and jump over to give her a little facebook love here. Little Skout is a independent label run and sewn all by myself from my home studio in Melbourne. My business was born early last year when I decided to take my hobby of sewing knickers more seriously whilst I was studying fashion design. I wanted to keep myself busy and inspired. Things started getting busier and busier so I deferred uni to just focus on the label. Since then I have worked on some amazing projects and with amazing photographers- We have a coming editorial feature in sustainable mag Hessian and launch at vintage lingerie parlour Dames of Distinction... Wow huge. - and a few things we should know about you? I live and breathe sustainability, from the vintage and recycled fabrics I sew with to my organic veggie garden. I also adore cats, vinyl and endless cups of tea. I am completely head over heels passionate about fashion. I am hoping to add to the collective of amazing talented people who are pro ethical, pro australian made, pro sustainable, and pro artisan (meaning say no to massive produced). Hopefully we can change the nature of the fashion industry once again. When I finish my fashion degree I will take Little Skout to a larger level including a full collection and I hope to one day create jobs in Australia within the fashion industry. - What do you look for in the fabrics you choose? I mostly work with vintage fabrics. I work heavily with prints. 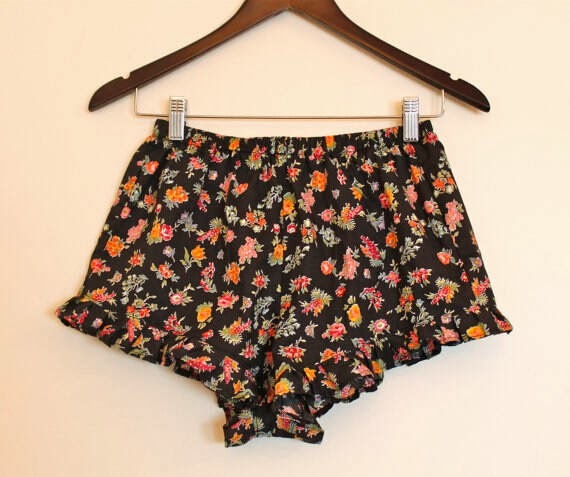 Anything floral and whimsical. I am consistently scouting around for new fabrics. - In three words - what sort of woman wears Little Skout? - What do you love about creating cute knickers? I've always been obsessed with undergarments. I studied costume design for awhile and it really feed my love for knickers. Knickers are the funnest to make. 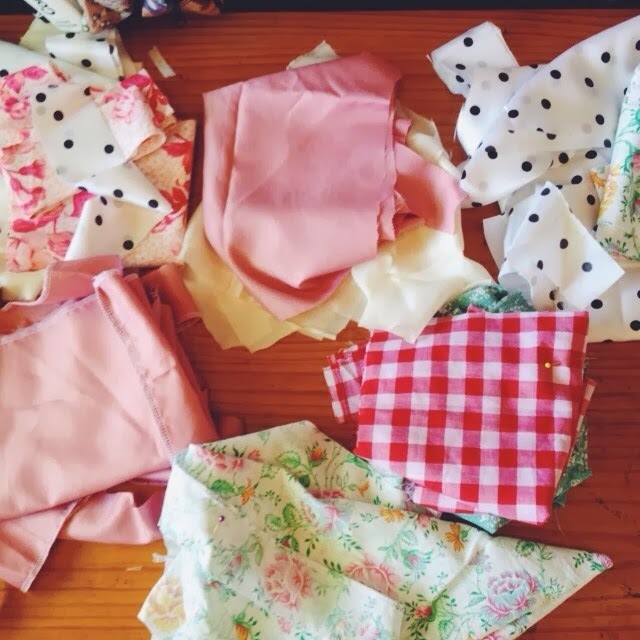 I love cutting them out of beautiful fabrics and making something adorable and whimsical. One of the biggest highlights is the lovely feedback I get from my beautiful customers about how good the knickers make them feel about themselves when they wear them. - What are you hoping to achieve for 2014? I can feel 2014 is going to be a big year. I am hoping to add garter straps to all my knickers, get a proper website up and running, release a line of 20's inspired tap pants, and finish a big chunk of my fashion degree without being too distracted.